Snyder’s charm might be offensive. 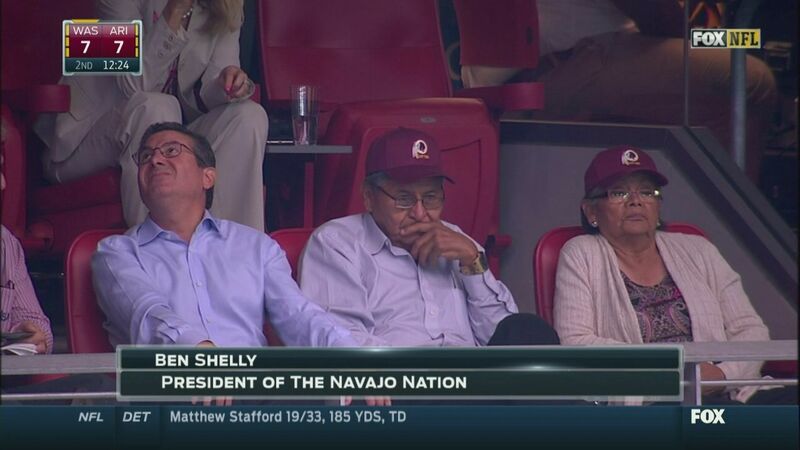 Budfoxnews.com reader Fang Wang, a college application consultant whose fees are quite reasonable given his track record of getting teenage stoners into decent colleges, pointed out to Bud Fox News that this past Sunday Washington Redskins owner Dan Snyder sat with Navajo Nation President Ben Shelly and his wife at the Redskins’ 30-20 loss to the Arizona Cardinals at University of Phoenix Stadium. The loss drops the Redskins to 1-5 on the season. 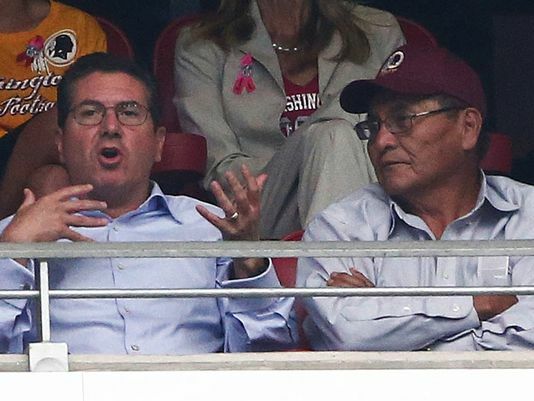 A Redskins executive who asked to remain anonymous told Bud Fox News that, in an odd attempt at diplomacy, Snyder took several buttons of peyote in Shelly’s presence before the game, which might explain Snyder’s somewhat strange subsequent behavior. In the photos below, Snyder can be seen staring skyward; struggling to form words and gesturing clumsily while Shelly looks on with the patience of a kindergarten teacher; and lastly, simply disappearing from the picture (he was apparently just outside the camera’s purview hooting like an owl and trying to turn his head all the way around his body). 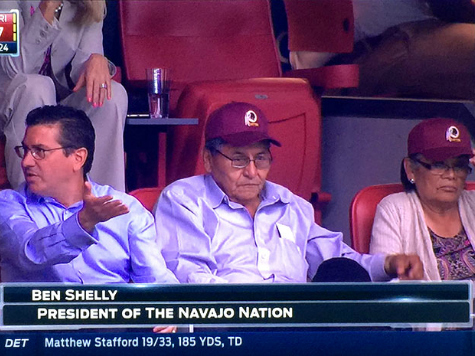 During the game, Shelly and his wife looked a bit glum. Bud Fox News could reach neither for comment, so it’s not clear whether they were downcast because they felt they were selling their souls to the devil on national television or because the team stinks once again. 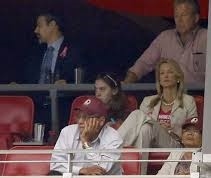 This entry was posted in Sports & Leisure and tagged Redskins. Bookmark the permalink.